Necessity, goes the adage, is the mother of invention. When Ishu Bansal (founder of the logistics startup Truck Suvidha), saw his family business face problems in transporting their manufactured goods, he was convinced there were others sailing in the same boat too and facing the same hardships as his family. Bansal’s family had set up a plywood manufacturing unit at Mundia in Badaun district in 2003. The manufacturing unit being based in a small town meant that the Bansals would have to get trucks from a 100-150 km circle to despatch their finished products. They would often end up delivering their promised goods after the deadlines. Resulting into losses due to not being able to deliver on time as well as loss of goodwill. Buyers would walk away from a manufacturer who, more often than not, would fail to deliver on time. Unable to get reliable and timely transportation facilities, the Bansal family went as far as buying a truck of their own in 2007. That too did not seem to work out. Ishu would see the harried family and wanted to create a solution. Not only for his family but for all many others like them who, he was sure, were suffering too. Almost four years back, Ishu was enjoying a cup of tea with Amit Punaini, also a partner in the plywood business, when he brought up the topic of transportation related woes. Amit who also had a successful scrap and metal business behind him knew that the man in front of him, almost ten years his younger, was talking sense. The idea was thus conceived during a casual chit chat but once the seed had been sown, there was no looking back. Together, the two decided to use technology to rid this highly unorganized sector of, at least, some of its ills. That was way back in 2011. “We knew we wanted to do it. Rather, we HAD to do it. We started refining our thought process, closely looking at the industry, building up the database and collecting feedback from various entities involved in transport business. The research consisted of endless visits to Azadpur Mandi (Delhi), transport houses, truck drivers, dhabas, truck unions and interacting with the people who had been in this industry for a long time. After those long conversations and hearing to the travails of others like us, we finally knew we were following the right thing,” says Amit. Ishu, only 21 at that time, was working with Infosys. 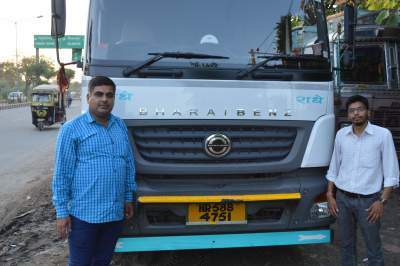 The self propelled entrepreneur pooled in all his savings and together with Amit, who was his family’s business associate, set out to work upon the idea of logistics startup. The two gleam with pride when they mention that the concept was entirely self funded! The concept was under-the-works for a long three years, during which they zeroed in on every possible aspect of it. 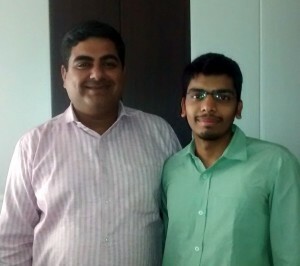 The portal for this logistics startup was finally launched in September 2014. Adds Ishu, “With this project, we are targeting the logistics industry in which truckers are the people who are the worst sufferers. Since we were aiming to provide ‘suvidha’ (convenience) to trucks and truck drivers/ operators, we decided to call this logistics startup as Truck Suvidha. Keen to know how the whole thing works, we asked Amit to elaborate on it. “See! There are different parties and aspects to the whole thing. Let us first talk from the transporter’s point of view. Whoever wishes to transport a load will need to register on the portal (which has been kept simple and easy) and purchase a subscription. Once the load is available from his home district, he will get an SMS about the same. Or else he can view the status by visiting the website. Here, we give them two options. They can post their own loads and find truck(s) for them. Or take the other option. They can also post their trucks and find loads for them. Truck Suvidha, which now operates from Yamunanagar (Haryana) with 21 full time employees excluding the co-owners and four part timers, is not done with the teething troubles. Convincing them, getting them to register with their portal has been difficult, he adds. Difficult, but not impossible. Truck Suvidha helps improve productivity by reducing the time it takes to search for loads or trucks by using a state of the art filtered email notification system and eliminating non-relevant services (links) and animated ads which make most freight matching load board services annoying for those turning to the internet. Not wanting to leave any stone unturned and to get out of the red as soon as they possibly can, the two co-founders are now focussed on popularizing the concept and raising awareness about the need for it. For that, they are making use of every possible channel. Digital marketing, telemarketing, Search Engine Optimization (SEO), SMO (Social Media Optimization), in person marketing- everything, in short! The initial response has been good, they say. Exceeding expectations infact. 16,403 registered transport contractors, 8,084 fleet owners, 5,340 commission agents and 1,729 transport brokers over a seven month period is no mean achievement, after all! Those astoundingly huge numbers speak volumes about the rapid strides Truck Suvidha has been making into this unchartered territory. The team is also working hard on positioning themselves as a brand. They have a very active Facebook page with more than 11,000 likes and a Twitter fan base of 4,000 users. At present, they have clearly demarcated areas in which they are both, in their own right, specialists. As Amit, the seasoned businessman, takes care of the day to day operations, Ishu is the tech guy who looks after the website. Both together work hard to ensure that a one time visitor to TS not only converts into a loyal customer but also helps spread the good word about them. The journey so far, inspite of being a bumpy ride on a road covered, for the most part, with potholes, has given the two young entrepreneurs reasons enough to smile. The most memorable moments till date have been a launch at IIT Kanpur. 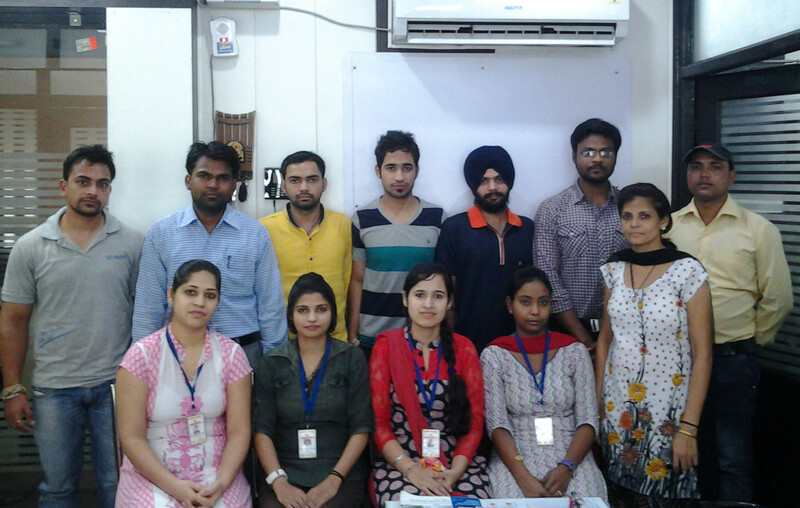 “The portal which went beta in September 2014 went fully functional during the IITK launch. The TS was finally opened to the public during the India International Trade Fair (IITF). Which was a BIG moment for us” says Ishu. India, as we all know, is one of the largest consumer markets in the world and driven primarily by domestic trade. Even in 2012, domestic trade comprised more than half (58%, to be precise) share of the GDP. Land transport accounts for a lion’s share of this movement of goods within the country. It is surprising therefore that no one thought of developing a platform like this earlier. The men at the helm of Truck Suvidha state in unambiguous terms that their vision entails helping all players who need to use trucks by bringing them together come under one umbrella. Start-up Description – TruckSuvidha is a web portal for trucking and transportation industry. Connecting transporters, truck drivers, customers and other related entities. Our service is aimed for the brokers / transporters / logistics heads / delivery heads to make the use of technology. Today every industry is making use of industry. Transport industry is the only one who is lacking behind. So, trucksuvidha is launched with an aim of upliftment of truck drivers as well as modernisation of whole transportation industry. Our core Services are free listing, online directory, load post, load board, truck post, truck board, distance calculator, Web profile service, etc. With trucksuvidha, user gets all your freight transport solutions under one roof. With a few clicks user can register as a customer, transporter or packer or mover. 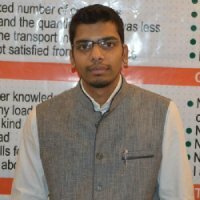 Trucksuvidha.com is offering Free Load Posting to all the big and small transport players as well as to other sectors that are directly or indirectly linked with Transport sector and Free Listing their firm on our website. The customer can choose the city, date, material, weight and truck type as per their choice and book a vehicle for transportation without having to talk to transporters directly. The transporters can list their entire catalogue of vehicles available. Customer’s requests will directly reach the transporter. Trucksuvidha will get requests directly from the customer as well as the transporter. Founders detail with brief profile – Amit Punaini and Ishu Bansal are the founders of TruckSuvidha. 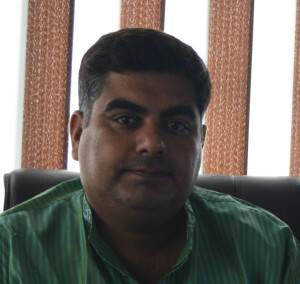 Amit Punaini is a businessman by profession who is always passionate about new ventures. His vision is to make the use of technology to uplift the society led to this venture. With an aim to organize the unorganized sector he believes that change is for the good and we should adapt to it. Ishu Bansal is a software engineer by profession who had a vision to own a startup that makes a difference. As it is said like minds think alike, he with technical background and Amit with his resources are set on a path to bring about some change for the society. Uniqueness about your Startup – The USP (unique selling proposition) of my start up would be the concept, ease of use and the information we provide. This is a unique concept combined with a lot of field work and a host of people ready to be a part of it. Challenges – There are many challenges that we are facing in this business. Few of them are providing knowledge of internet to our users, changing the mind-set of the people, upliftment of truck drivers as well as whole transport industry, eliminating the communicational gap between them, etc.